The time when “the daily sacrifice shall be taken away” must be at the beginning of the seven years, not in the middle of the week. The 1290 days and 1335 are different points on the same time line containing also the 1260 days when the Beast rises up breaking covenants scattering the power of the holy people (Dan. 12:7; 9:27). 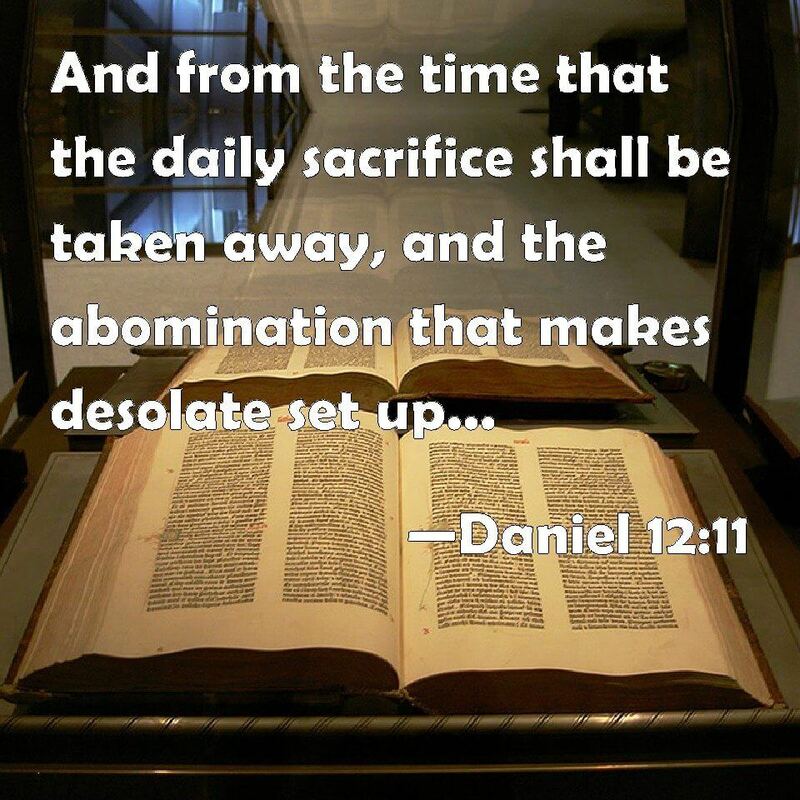 Some object confusing the “sacrifice (02077 זֶבַח zebach) and the oblation (04503 מִנְחָה minchah) in Daniel 9:27 with the “daily (08548 תָּמִיד tamiyd)” in Daniel 12:11. The “Daily sacrifice” ended with the apostasy of the Church at the beginning of the week, when it received the false Christ. The “Man of Sin” appears to a “fallen away church” as a false Christ condoner of sin, at midway he morphs into the Beast Son of Destruction Antichrist (Dan. 7:25; 9:27; 12:7) ending all “sacrifice and oblation” worldwide (2 Th. 2:3-4; Rev. 11:7; 13:5). Is it sound to interpret the “daily sacrifice of the Temple” as figurative of Christian taking up the cross daily and serving Christ? Yes, that is 100% consistent with the NT applying Temple language to the church (1 Cor. 3:16-17; 6:19; 2 Cor. 6:16; Eph. 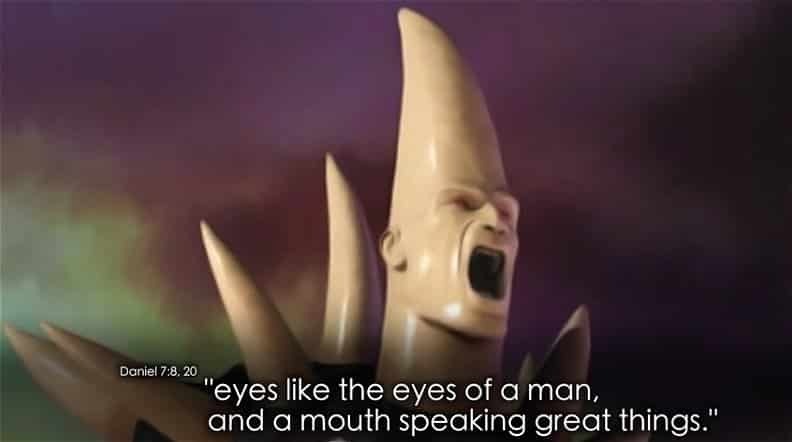 2:19-21). Peter identifies the church as a spiritual house “a holy priesthood, to offer up “spiritual sacrifices” (πνευματικὰς θυσίας) acceptable to God” (1 Pet. 2:5). In Hebrews we are admonished to “offer (399 ἀναφέρω anaphero) sacrifice (2378 θυσία thusia)” and that word is used in the Greek Septuagint to offer (399 ἀναφέρω anaphero) the whole burnt offering that in Hebrew is the “daily” (08548 תָּמִיד tamiyd) 1 Ch. 16:40; 23:31; 2 Ch. 2:3; 24:14. Our sacrifice of praise is to be offered “continually” (1275 διαπαντός) to God. In Hebrews 13:1-17 the ethical exhortations being an expansion of the acceptable duties priests offer God daily (Heb. 12:28 λατρεύωμεν εὐαρέστως τῷ θεῷ). Christ is our perpetual sacrifice for sin (Heb. 10:11-18), it follows “that the daily sacrifice “shall be taken away” (05493 סוּר cuwr; 868 ἀφίστημι) is taken away by the church’s apostasy when it receives the false Christ man of sin, which occurs at the commencement of the seven years. Some object its unhistorical NT usage define OT meaning, but that is not pertinent to prophecy whose words are sealed (Dan. 12:9) until the generation it was written for had arrived (1 Pt. 1:12). Confirming this, the angel said the righteous and wise would understand in the end time (Dan. 12:10). However, righteous and wise Daniel (Dan. 1:17; 4:9-10, 18; 5:10-12, 14-16) could not understand because he was not in the end time when the unsealed meaning of the words would be known. Is the Rapture pre-tribulation mid-tribulation post-tribulation?